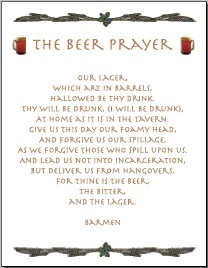 I can’t take credit for this wonderful prayer. I just neatened it up and put it in a standard format for your printing pleasure. Enjoy! at home as it is in the tavern. as we forgive those who spill upon us.